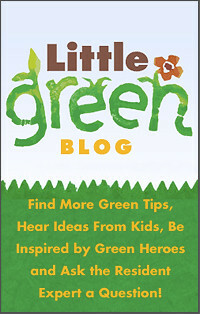 This website is an online environmental resource for kids to find ideas, information, and inspiration to go green. 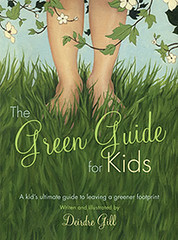 Become a fan of the Green Guide for Kids on Facebook! Growing a backyard habitat can do many wonderful things for the environment besides halting the use of a polluting lawnmower. You can plant a variety of native trees, bushes and wildflowers that have evolved to live in your area and require virtually no maintenance. Trees grow deep roots that prevent soil from eroding and also conserve water. Your habitat will encourage beautiful birds, butterflies, insects and other wildlife to your yard. Because so many animals are crowded out of their natural habitats by buildings and roads, your backyard will become an important sanctuary for them to thrive in. Wildlife need food, water and shelter to survive. When you plant native trees, bushes and flowers, you have already begun to provide food and shelter. –Put out a birdbath. Make sure to change the water in the birdbath every other day so that it doesn’t turn into mosquitoville! Every few days scrub it with a stiff brush or pinecone and rinse it well. –Choose plants that flower and produce fruit at different times of the year so that creatures will have food to eat year–round. –Provide shelter by placing logs, brushes and rocks in your habitat. This is a great opportunity to create a nature journal to record the exciting changes that you will see as your habitat begins to grow and attract creatures! Get a medium-size clay pot and saucer. Fill the saucer with water and put it on the ground. Close by, put the pot upside-down with one edge propped up with a rock. 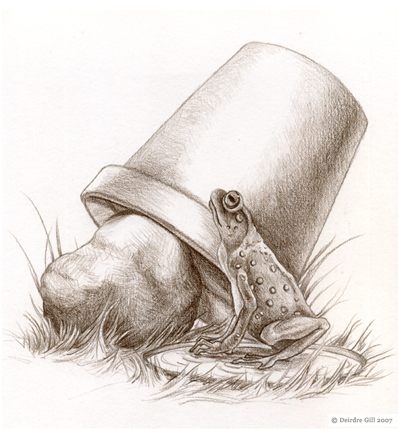 This will give the toad enough room to fit inside his cozy “abode”. If you can find a broken pot that is missing a chunk then there will be no need to prop it up—all the better! For more information on backyard habitats, visit the National Wildlife Federation website on gardening for wildlife and click here to watch clips from Animal Planet's show Backyard Habitat. What's so bad about carbon?